PvP Multiplayer games are dependent on how well balanced the game can be. Overwatch is beloved for its great gameplay and surprisingly good balance. However, perfection is tough to achieve. 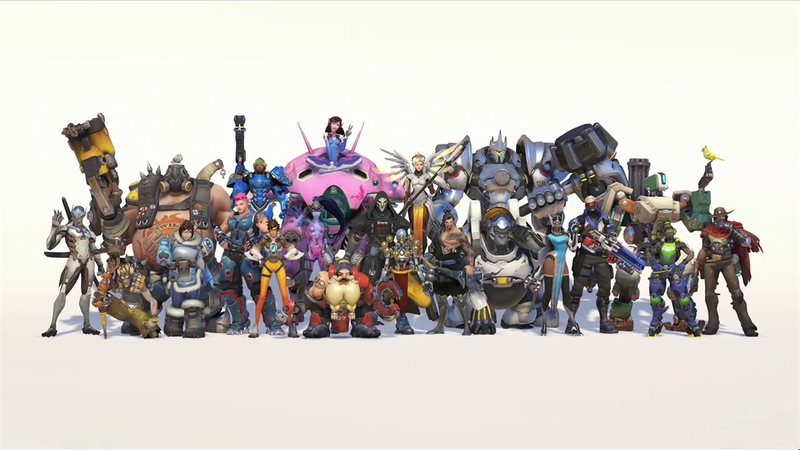 Here’s my thoughts on which Overwatch characters need changes. Note the publishing date of this post, as changes may come out after this is posted. [Update: 6:14 PM PST]: Genji has had been nerfed heavily, Zenyatta’s discord orb has been nerfed identically to how I said it should. Patch notes are here. D.Va has received a seriously substantial change recently surrounding her defensive ability, “defense matrix” which allows her to negate nearly any attack including more than half of Overwatch’s roster of Ultimate attacks. Previously, this was A-OK as D.Va’s defense matrix had a long cooldown. Now however, the defense matrix can be put up and down however D.Va pleases. This borderline breaks the character because she can block way too easily. It makes her way too powerful of a tank and makes her a must-pick in most payload maps. On payload maps, pushing the cart is essential and with D.Va’s defense matrix, she can push onto a cart or defend her team on a cart with absolutely no worry of taking damage. This can make or break matches and desperately needs a nerf. The best way to nerf her defense matrix would be substantially increasing the time it takes for the energy on the matrix to charge when it is fully depleted. This means that D.Va will be forced to either retreat when she is overrun, or use her matrix to its end and be left vulnerable. An alternative to a nerf would be to add a limit to how much the defense matrix can block. However, if this change were to be made, the maximum block amount should be high. As in, can fully block Pharah’s ultimate high. By nerfing her defense matrix only slightly, D.Va can continue to be an effective offensive tank, but stop her from being invincible in 1V1 matchups. Genji, being such a difficult character to play, is still fairly balanced but really needs one part of his character badly nerfed. During Genji’s ultimate, his “Swift Strike” dash ability is much more powerful and makes it way too difficult to keep your distance from him. One way of fixing this is to remove the instant cooldown received by the swift strike when Genji uses his ultimate. This means that Genji is easily able to close the gap between him and enemies before using his ultimate again, and being able to dash through enemies, doing a full 100 damage per strike and another 100 per hit meaning that most characters can be instantly killed by Genji’s ultimate. Its a small change that would make Genji’s ultimate a little easier to counter which has been a serious issue seeing as Genji’s only definite counter, Mcree, has been nerfed into proper balance. Junkrat may be one of the best all around characters in the game, as he can play in literally any situation without worry. However, after many hours of playing as Junkrat there is one minor change I think should be made to his steel-trap ability. He should be able to throw it a few feet farther rather than the light toss he makes when he puts it down. I’m not saying it should be even CLOSE to how far his mine can be thrown, but it should go a few feet farther as its pretty tough to get enemies trapped unless they aren’t paying attention. The trap should also have a lower trap time, as the 3 seconds trap time is a bit too long and becomes more of a free kill on squishier characters than a fair kill. It would be better if it were reduced to 2 or 2.5 seconds. By giving the trap a longer toss but lower trapping time, it can be used for zoning more than the occasional free kill, which would be a much more sensible defensive skill. Zenyatta was just recently buffed enormously receiving another 50 shield health, an increase in projectile speed, and a huge buff to his ultimate. As of now, offensively, he’s a very balanced character, however, his “discord orb” ability is overpowered as it gives a 50% damage increase to all of your teammates on one enemy. There is also no cooldown on the discord orb, so the debuff can be passed from enemy to enemy whenever necessary making tanks way easier to kill than fair. When Zenyatta discords an enemy, his headshots do 120 damage per shot which is more than Mcree aka headshot god does normally. Zenyatta’s attacks also have no damage dropoff unlike Mcree, so Zenyatta can do high damage from any range. Seeing as Mercy just had her attack buff increased to 50% you’d wonder why Mercy isn’t picked as much as Zenyatta. For one, Zenyatta can attack while healing and buffing his team, and his ultimate charges faster. A cooldown between orbs. This would be the less fair nerf as it wouldn’t make sense with his character’s design. Nerf the discord orb heavily by reducing the attack buff to 30% or less. Its important to note that Blizzard has mentioned the likelihood of a nerf to Zenyatta’s discord so here’s hoping. Disagree? Think any other characters need changing? Leave your thoughts in the comments, and tell me what you think about my ideas.